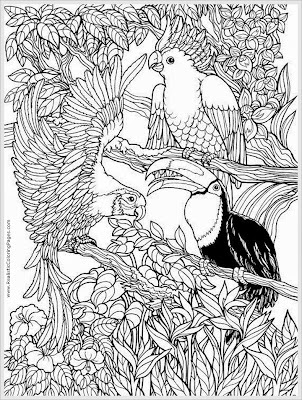 After a few days sharing many birds pictures to color for adult, today I still want to share another birds to color. Now you can downloads Parrots bird adult free coloring pages. There are 372 species of parrots that mostly inhabit tropical and subtropical areas of South and Central America, Asia, Africa, Australia and New Zealand. Most species of parrots are monogamous (one pair creates a bond that lasts forever). Female lays 2 to 7 eggs that hatch after incubation period of 22 to 30 days. Both parents take care of the chicks. Baby parrots are blind at birth and covered with thin feathers. After couple of weeks their body is covered with feathers completely and they are able to see, but they stay with their parents for some more time. Young parrots reach sexual maturity at the age of one to four years, depending on the species. 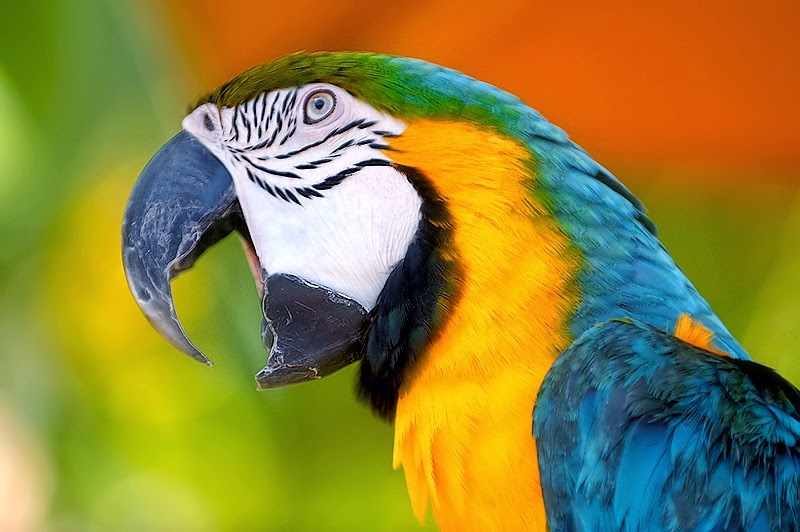 All parrots have curved beaks and strong legs that end with four toes. Two toes are positioned forward and two backward. Parrots live in large groups called flocks that usually consist of 20 to 30 birds. Parrots are the only birds that are able to pick food with their feet and bring it to the mouth.